Morning Constitutional: What Is Jeff Hafley Bringing to the College Game? Today’s Topic: What Is Jeff Hafley Bringing to the College Game? Hafley wasn’t known in the college game, as he has spent the past seven years in the NFL coaching defensive backs. Day knew Hafley, of course, having worked with him in San Francisco with the 49ers. And as Day showed over his first two seasons at Ohio State, the NFL is a pretty good proving ground for college coaches. One of the things that Ryan Day said about his own time in the NFL is that all you have is time. The players’ union has limited the amount of hours that players can do football activities, but the only limits for coaches are physical. During his time in the NFL, Day studied quarterbacks and offenses, and it made him a better coach. He brought back plays, plans, lessons, and insight, so it isn’t a surprise he went to the NFL looking for the same kind of thing on the defensive side of the ball. When asked asked what he wants to bring to the college game, Jeff Hafley’s answer was right in Ryan Day’s wheelhouse. Hafley will still have to get back into stride as a recruiter, and if Day had any doubts about those abilities, he would have never been hired. Confident in Hafley’s ability to land recruits, Day went out and hired a coach who has spent his time preparing for this opportunity while also learning some of the best lessons in the sport. The question is can he teach fundamentals and proper angles. Unlike the NFL, Hafley not inherits the keys to DBU and has top notch talent and there’s basically only one direction for him to move. Sounds good being that long in the NFL. Excellent suggestion that he talk with Coombs. Can’t argue with that guy’s success in developing star defensive backs at the college level. Also, Coombs probably has some instructive observations about the difference between coaching college and NFL players. You should watch the full interview that this story was generated from, it’s worthwhile. 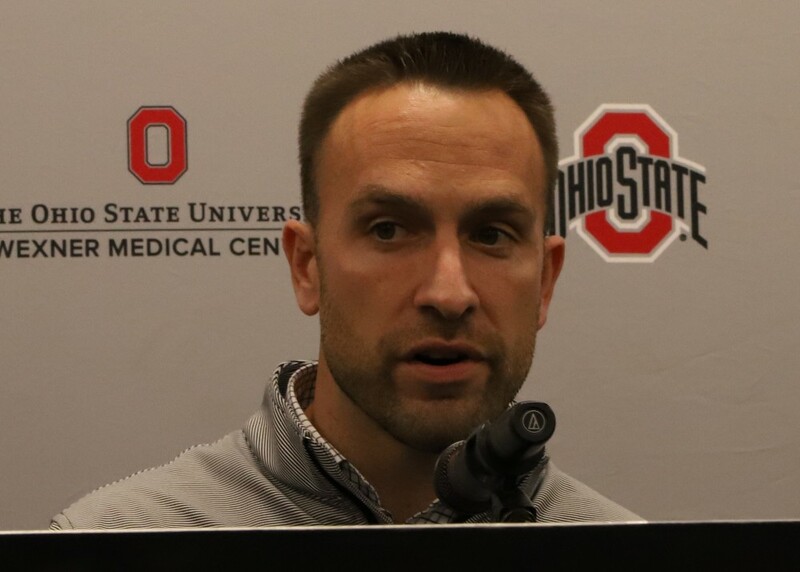 Hafley mentions that if you put in the work and perform, they’ll find a role for you, that in essence is why Ohio State has rotated corners. In fact, in the interview he talks about how he has interviewed OSU corners for the draft and he asked them why they rotate and they told him, because the guy coming up behind me is a first round pick too!! As far as recruiting; he’s pumped. He speaks about how in the NFL as a secondary coach it’s rare that he gets to draft a 1st rounder for his secondary. At Ohio State he can conceivably be out there selecting a couple potential 1st rounders in every single class. That has him excited.